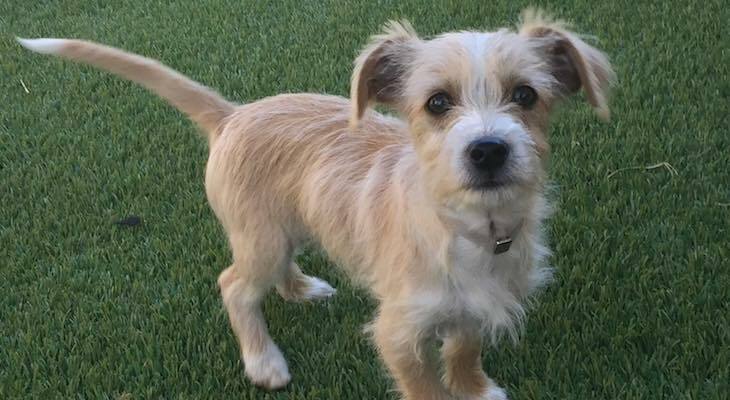 Available Now: Meet Cesar this handsome fawn and white terrier mix was recently rescued with his 4 siblings. Cesar is shy but coming out of his shell, he loves to play with his toys and foster brothers and sisters. Cesar would thrive in a home with another playful pup. If you’re interested in adopting Cesar please visit our website at www.sparkrescue.org and submit a dog adoption application thank you for choosing to adopt! Darling pup. Shouldn't take long for him to find his forever home.